Develop a successor for Barton, so that when she left her work would continue. In the first six months of the project alone, Barton was able to create dramatic changes in health reporting at the Zambia Daily Mail. She encouraged journalists to do in-depth reporting on major issues, a change from prior articles, which had merely restated press releases. Barton’s efforts resulted in the creation of a health-reporting newsletter, multiple health reporting projects, the introduction of infographics in Zambian health stories, and a series of successful health workshops. Her work has played a direct role in lowering the prevalence of malaria in Zambia and has been recognized by Zambian government officials. Barton’s project was so effective that her successor, Zarina Geloo, has been able to sustain the work, and expand upon it, from 2010 through today. A dedicated health desk so that there is clarity and consistency in reporting. For all the project’s successes, there were several challenges that can be learned from and built upon. This report will examine the strengths and weaknesses of the project, Zambia: Putting Health News in the Headlines, and provide recommendation for future projects both in Zambia and internationally. Zambia: Putting Health News in the Headlines was funded by the Bill and Melinda Gates Foundation, which “aims to harness advances in science and technology to save lives in developing countries.” The Gates Foundation awarded over $1.7 million to the International Center for Journalists for use with the Knight Health Journalism Fellowships with projects taking place in Zambia, Uganda, Kenya and South Africa. The Knight Health Journalism Fellowships develop media projects in Sub-Saharan Africa that focus on coverage of key health issues, and set the stage for policy improvement. Fellows help journalists in country to develop the skills and knowledge necessary to support ongoing coverage of major health issues that affect the region, and the continent. As a result, journalists in the area have begun to cover disease prevention, healthy living, new developments in health care and government corruption and inefficiency. All reporting, whether on business, sports, or breaking news must include an element of health coverage. “Whether it is about living in a healthy environment, eating nourishing food, staying strong enough to achieve our goals or avoiding the communicable deadly illnesses that make this world a smaller place each day, writing about health means writing about the quality and duration of our lives,” Barton wrote. Develop a sustainable health desk at the Zambia Daily Mail. While not all of these goals were met during the one-year fellowship, the overall effect of Barton’s work was overwhelmingly positive and led to six additional years of funding for another woman, Zarina Geloo. Zambian journalists are expected to train in an incredibly broad scope of fields, including broadcast, print, radio, and television, as opposed to honing in on one area of focus. As a result they are often uncomfortable writing in depth about any one particular topic, making it difficult to establish a health specific beat. Other fundamental issues stemmed from the structural maladies that Zambian journalists deal with on a daily basis. The technological issues led to further problems that the project sought to address. Namely, donors such as USAID will often write statements on health issues in Zambia and distribute them to local journalists. As electricity usage, computer accessibility, and internet connectivity could be sporadic, journalists were often left with no option but to copy the statements word for word and present them to the public as fact. This frequently led to mass uniformity of information across the country, and no investigative reporting. When Barton arrived in Zambia, health news was largely overlooked, and not one of the major publications or broadcast outlets had a dedicated health desk. This led to collective frustration among the Zambian population. They felt that even if a major health initiative were to take place, the media would not care unless the President himself was there. Barton tackled these problems and more by coordinating all her actions with journalists at the Zambia Daily Mail to ensure that goals were achieved in a collaborative and long-lasting manner. The primary goal of Zambia: Putting Health News in the Headlines was to develop a health beat at the Zambian Daily Mail. In order to do this Barton worked in-country with journalists to come up with projects that would focus on “one health issue and assign a variety of stories and use data and do all the things that make a project fun here...to make health information easier to access.” As these initiatives were carried out, Barton monitored and evaluated the project and accounted for her results to the ICFJ. Additionally, Barton worked closely with journalists in-country to utilize local resources, and target key areas of need. Using local support made her efforts more successful than they would have been if she worked only with Westerners, as the cultural and structural differences were vast. Together, Barton and the local journalists compiled mailing lists of over 100 health communicators and coordinated with them to plan and execute successful workshops on health reporting. They also created a list of terms to be used in health reporting, and the proper way to use them, and sent the terms to the mailing list so that there would be uniformity in use. For all the project’s successes there were several issues along the way, some of which were resolved and some of which persisted long after Barton had returned home. The structural and cultural issues that frustrated Barton during her time in Zambia will be some of the hardest to overcome in the future. One of the biggest challenges to accurate,watchdog reporting was the cost. Journalists and staff members expected to be paid for any activity, even those that contributed to the development of their own capacities or resources. The impact of this kind of thinking has been hugely detrimental to journalistic ethics and integrity, as most journalists readily accept opportunities to make additional money, including the acceptance of bribes in exchange for slanting a story a particular way. The desire for additional compensation for every activity was a major problem when the idea of the style guide was introduced. Initially, there was widespread support for the idea and a desire among journalists to participate. However, when it became clear that participants would not be given additional, monetary incentives there was a massive decline in desire to be a part of the project. Compensation and incentives also presented problems when designing workshops and group training opportunities around health writing. The expectations surrounding workshops in Zambia are self-defeating, as participants bide their time waiting for their per diem expense pay, tea breaks, and “glowing evaluations, to ensure more such events keep occurring.” The events end with little actual benefit to participants, and no real accountability for workshop sponsors. In the end, Barton spent her time trying to persuade newspaper management to curtail reporters’ access to these frequent events, instead of preparing one herself. Zambia’s infrastructure is not as friendly to daily news cycles as is the United States. Fuel is a necessity, and yet it is not always readily available, or affordable. The power frequently cuts off for hours at a time, limiting journalists’ access to their computers, phones, printers and scanners. Traffic can be brutal, causing journalists to be late for events, or miss them all together. In Zambia, minute long tasks can turn into hours long problem solving experiments as journalists fight to get stories told. Barton also encountered problems when trying to work with other organizations within Zambia. While she was there it came out that a clinical trial had failed to divulge to Zambian journalists the results of its study, which had included Zambian participants. This resulted in an onslaught of misreporting and backlash, highlighting the problems health reporting faces in the country. 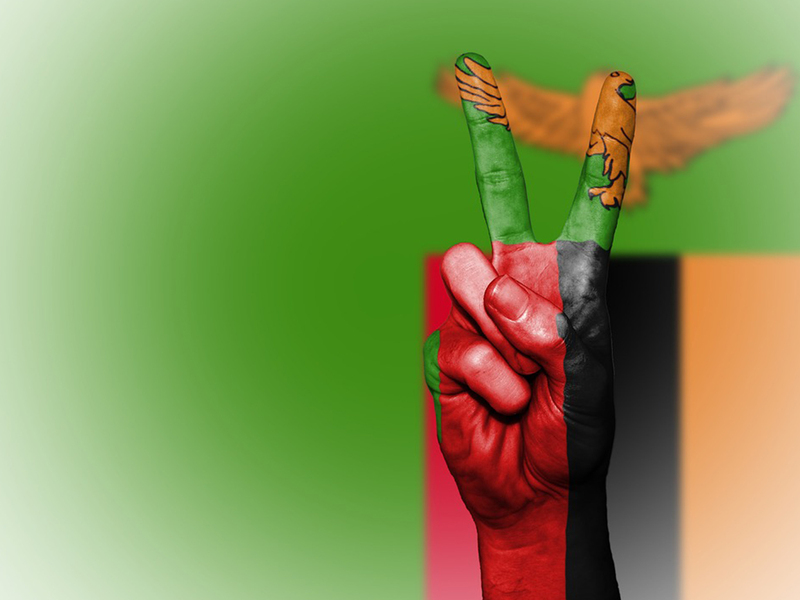 Other challenges stemmed from a lack of coordination between officials in the United States and those in Zambia. Barton knew that World AIDS Day would be an opportune time to write about the problems that Zambia is facing in the AIDS Epidemic, yet she had an incredibly hard time finding any American aid workers who could speak to her journalists, as AIDS Day fell on Thanksgiving that year. Although the project met many initial roadblocks, including a lack of training, education and failures of technology, the project was deemed an overall success. By the end of Barton’s year in Zambia she had appointed a successor, Zarina Geloo, who is still in Zambia continuing Barton’s work. She also created a health-reporting newsletter with a mailing list of over 100 health communicators. Referrals from the original mailing list have lead to a steady growth in participation, creating a forum for discussion and a greater dissemination of information. Of all of the changes that Barton sought to implement the introduction of charts, graphs and information boxes were the most eagerly embraced. These infographics have highlighted important statistics accompanying health stories, and lead to a clearer presentation of information for readers. Barton also completed the goal of producing four in-depth health reporting projects on malaria, AIDS, cancer and circumcision. This plan was the best received by the staff from the beginning and resulted in the most productive and informative work. Barton’s work was so successful that the Zambia Daily Mail was recognized by the Minister of Health of Zambia, who awarded the paper a prize for its malaria series and gave them a plaque on national television. The overall effects of Zambia: Putting Health News in the Headlineswere hugely beneficial to Zambians, and its efforts should be repeated in other areas.This project contributed to successful vaccination campaigns against measles, pneumonia and polio, and is credited with helping to lower the incidence of malaria and other diseases.It has prodded governments to improve policies addressing health challenges ranging from AIDS to prenatal care to tuberculosis.When project leaders spend time with and take valuable advice from journalists in country they can learn a great deal, and tailor projects to the needs of the area. By listening to individuals in Zambia, Barton was able to redirect her focus away from unproductive events, such as workshops, and towards the more useful creation of a permanent health desk. Furthermore, in choosing a successor who is from Zambia and thus integrated in the local culture, this project has had much higher rates of continued success. - Additional projects should imitate Barton’s work by creating mailing lists of journalists and health officials so that information is able to freely flow between all. Health officials are often hard to reach, but they are indispensible to health news coverage. Giving journalists the opportunity to create relationships and professional networks with these officials will make it easier to get information about health initiatives, prevention and treatment. The mailing lists will also ensure that when there are breaking news updates both journalists and health officials can alert each other and share resources to create better, more informative coverage of health news. - It is essential that project heads host regular meetings with staff and other community leaders to discuss what will bring the greatest benefit to the community. Having spent considerably more time in the community, staff will understand the culture and needs of the individuals that these projects seek to help, and how project goals can be met most efficiently. Community leaders are highly respected, and their opinions on a matter of health often matter much more than facts or statistics on the matter. They should be consulted first and educated about the benefits of health prevention and treatment and then persuaded to tell their communities what they have learned. Until this is done, individuals in the area will continue to doubt the information they read in health news. - In order for work to be continuous, individuals from the country should be given leadership roles, and encouraged to take an active role in activities. Individuals who have grown up in affected areas know intimately the problems that their communities face and the resistance to change that may be felt due to culturaldifferences. Providing natives with leadership roles will bring valuable insight to the project, and ensure greater success rates. - Style and term guides should be created so that reporting is uniform throughout the field. This consistency will ensure that health journalists understand the importance of using the correct terms for all health situations, and of presenting health news in a straightforward manner. Furthermore, the project’s reach will be extended far beyond its original intent as the guides are distributed across a wide range of publications. "Antigone Barton." Telephone interview. 06 Nov. 2015. "What We Do." Bill & Melinda Gates Foundation. Web. 29 Nov. 2015. Annual Progress Report Form to Bill and Melinda Gates Foundation. Knight Foundation, 5 Sept. 2009. Barton, Antigone. "Life and Death: This Is What Health Reporting Is About." Health Desk: Bulletins for Zambian Journalists. 17 Mar. 2009. Web. 29 Nov. 2015. Barton, Antigone. "Stepping Into the Middle of a Long Story." International Center for Journalists, 15 Mar. 2009. Web. 29 Nov. 2015. Antigone Barton, Knight Health Journalism Fellowship, Zambia, Final Report, March 2010. Barton, Antigone. "Where Routines Are Challenged, Health Reporting Abides." International Center for Journalists, 8 Nov. 2009. Web. 29 Nov. 2015. Barton, Antigone. "Thanksgiving and World AIDS Day an Uneasy Mix." International Center for Journalists, 4 Dec. 2009. Web. Barton, Antigone. "A Shining Example." International Center for Journalists, 2 Feb. 2010. Web.